In the mood to make something hearty and healthy, I spotted some nice looking eggplant at the supermarket so I grabbed it in hopes of getting inspired. 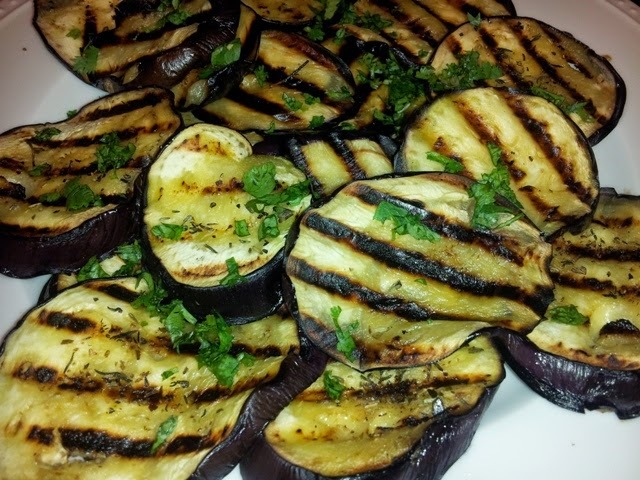 After a quick recipe search, I found an easy method for a grilled eggplant with cilantro and peanut sauce. It's funny because I used to absolutely abhor peanut sauce on anything, but my tastebuds have changed and I now love everything from peanut butter to my once loathsome peanut sauce. I love this recipe because you only need a few simple ingredients including peanut butter, olive oil, garlic and lemon. Being pretty generous with the garlic, it was distinctly felt in the sauce but that's exactly what I loved about it - the more garlicky the better. 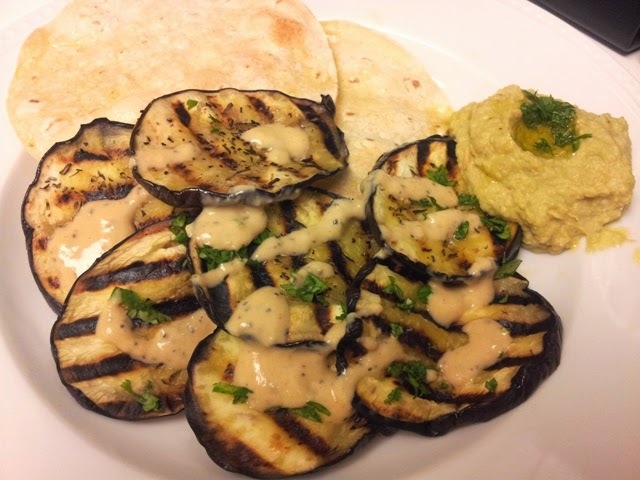 You can adjust it to your own taste or pair the eggplant with something else altogether such as this homemade avocado hummus you see above.